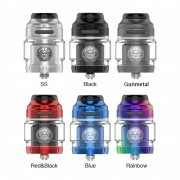 Geekvape Aegis Solo Kit consists of Aegis Solo 100W Mod and Cerberus Tank. It still comes with Waterproof/ Dustproof/ Shockproof Design. 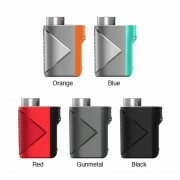 Powered by a single 18650 battery, plus the advanced AS chpset, it can achieve up to 100W output. It is equipped with a full range of TC Mode, Power mode and Bypass mode. Equipped with 5.5ml Cerberus Tank with Super Mesh X2 0.3ohm coil for huge clouds. If you want a device that is more portable than the Aegis Legend Kit, then it is what you want. 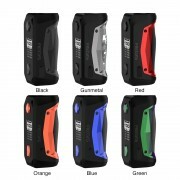 ❤ Please read the user manual carefully before using this GeekVape Aegis Solo Kit 100W. 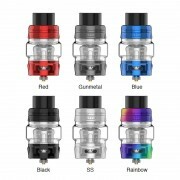 ☞ 6 months warranty period for Geekvape Aegis Solo.